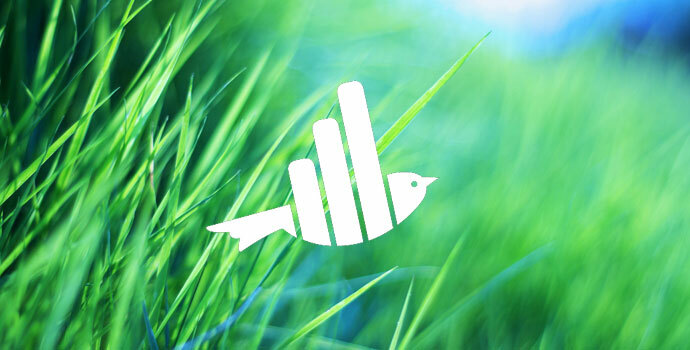 Faunalytics infographics provide a fun and visual way to learn about animal issues. Our current collection is small, but we’ll add more soon! Sometimes information and research results are easiest to understand when presented in a visual format. 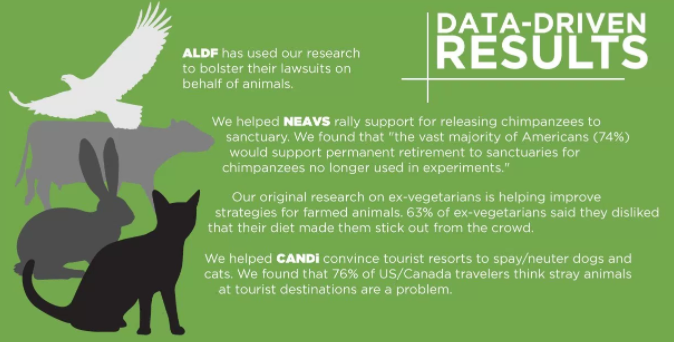 Faunalytics has developed a number of infographics that help summarize essential information for advocates, students, teachers, and anyone interested in animal topics. See below for original infographics developed by Faunalytics. 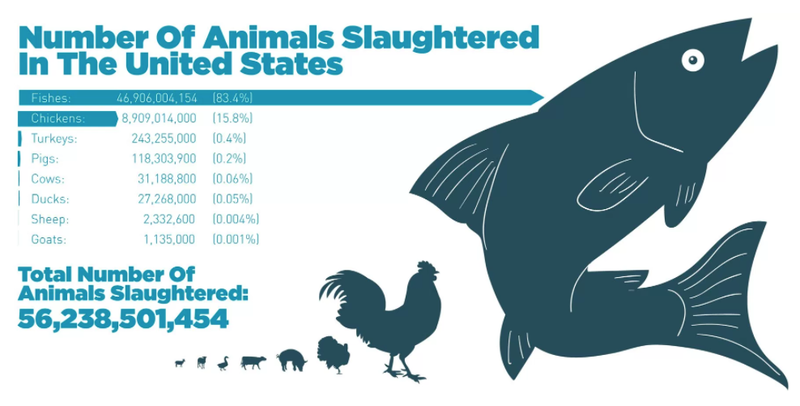 The first in our new series of visual “Fundamentals,” our focus on Farmed Animals contains information about animal ethology, consumer opinions, scale of the industry, environmental impacts, and more. The second in our series of Fundamentals, with a collection of infographics describing the animals most commonly used in research and dissection, the species excluded from the Animal Welfare Act, attitudes, breeding and transport, and research alternatives. 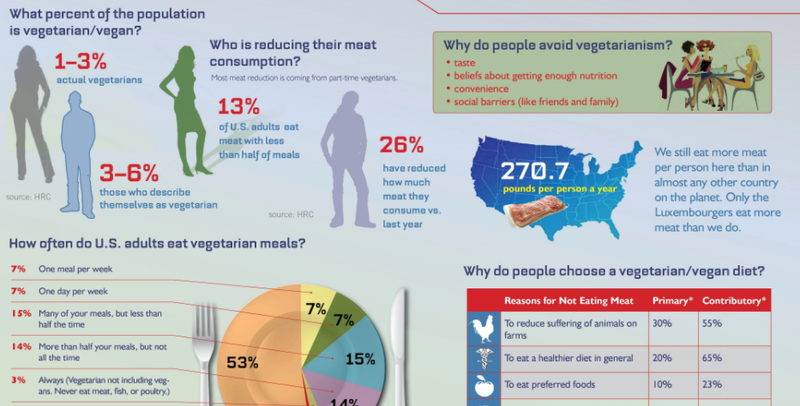 This infographic highlights the key findings from Faunalytics’ Study of Current and Former Vegetarians and Vegans. It describes the number of current and former vegetarians and vegans in the U.S., offers a profile of former vegetarians/vegans, and touches on individuals’ motivations for adhering to the diet. It also highlights some potential recommendations for veg advocates to consider. Want to know more about Faunalytics like what we do, who we help, a few highlights from our research results, and some details about our operations? 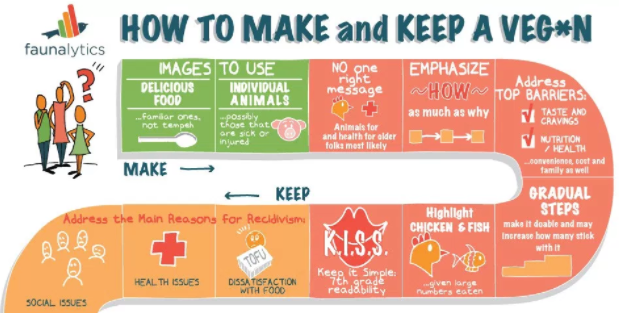 This graphic, illustrated by Faunalytics board president Caryn Ginsberg, walks through a series of evidence-based methods to help encourage people to consider, try, and then (importantly) maintain a plant-based diet. 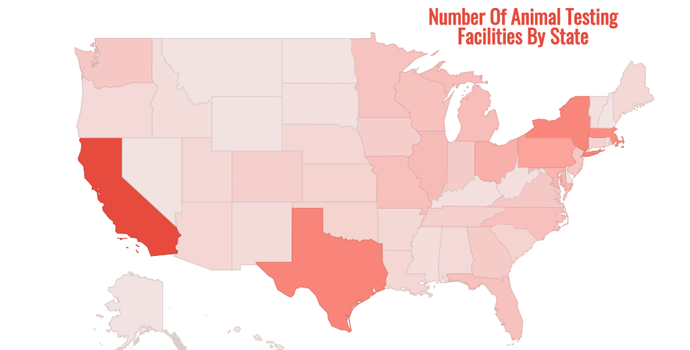 How many vegans, vegetarians, and semi-vegetarians are there in the U.S.? How many vegetarian meals do they eat? And why do they choose to limit their consumption of meat and other animal products or avoid them entirely? 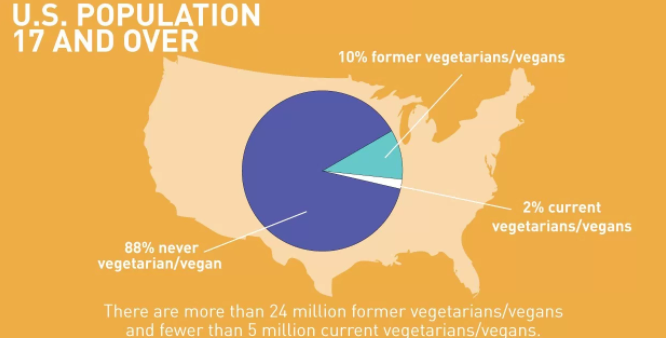 If you’re interested in these questions, Faunalytics has the answers in our infographic on vegetarianism in the U.S.
A Faunalytics infographic based on a study looking at reductions in environmental impact and land use. 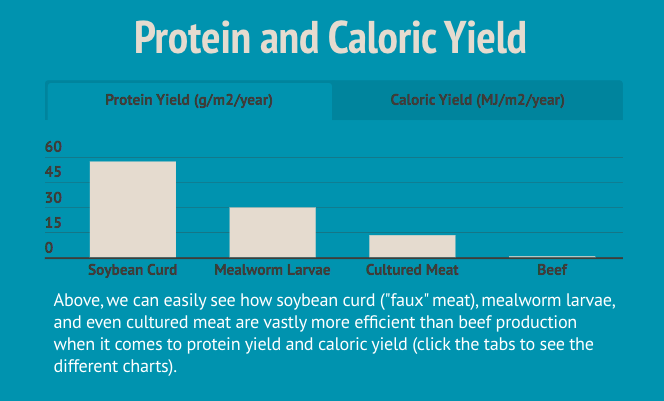 The graphs compare eating insects, eating faux meat, and eating cultured meat, and concludes with a discussion of some of the barriers to the adoption of each. 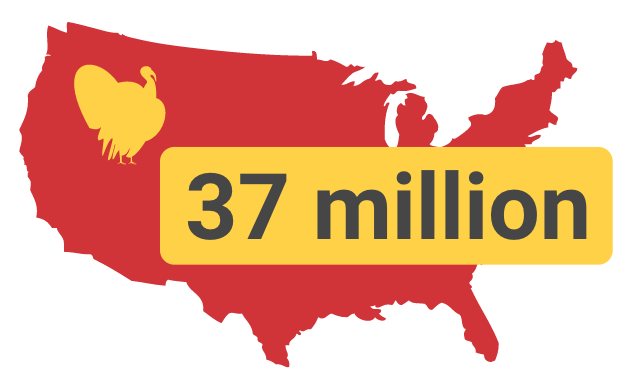 A look at the scale and pace turkey consumption in the U.S., an exploration of some reasons why turkeys are such amazing animals, and some quick and easy recipes that may help you with your Thanksgiving meal. A very quick resource to share with friends and family around the holiday season.